This year the northern hemisphere was faced with a hot summer and its being said that according to statistics, this summer was one of the hottest of the past 50 years. Usually we tend to refresh ourselves by enjoying cool beverages like water, juices or enjoying a delicious ice cream. And after a long hard-working day a cool beer or wine from tap is a perfect reward. But a new refreshing beverage is trying to gain market share from other cooled beverages. 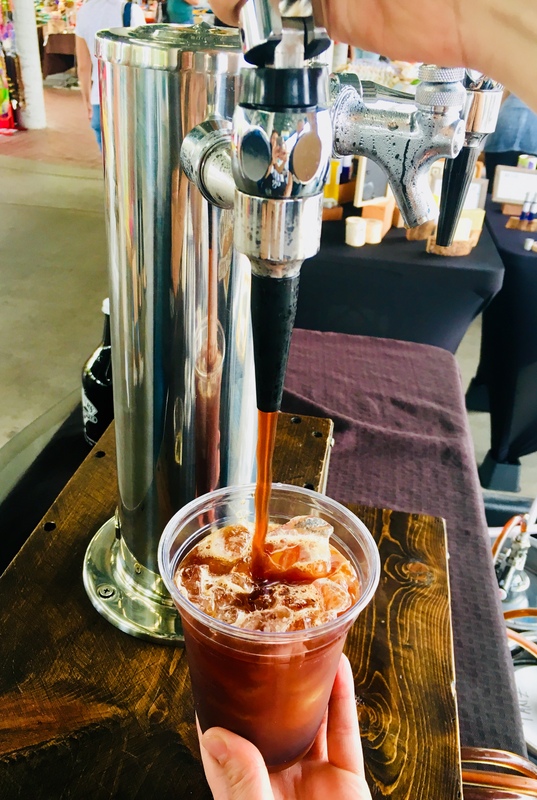 Since 2015 a trend from the USA is turning worldwide into a very attractive alternative to traditional refreshing cooled beverages – Nitro Coffee. 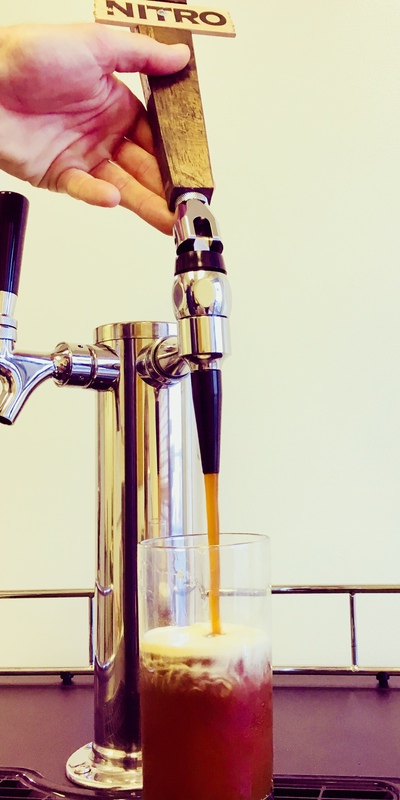 But what is Nitro Coffee and what makes it so special? Blefa has talked to Rob Gideon who is working for Switters Iced Coffee (switterscoffee.com) in Nashville, TN. In 2011, owners Kyle and Sheri Young fell in love with the iced coffee they had while traveling in Southeast Asia. This iced coffee love affair sparked years of home coffee roasting, experimenting, and planning. All of this eventually led them back to Nashville, TN to start their quest of creating the first Iced Coffee Microbrewery, dedicated to providing both kegged and bottled flash chilled iced and nitro coffee. 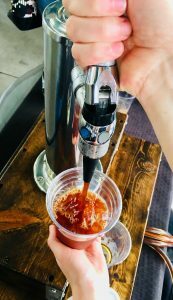 Switters Iced Coffee is using local roasters & ingredients to offer Nashville a unique & refreshing iced coffee experience! BLEFA – Rob – what is your definition of Nitro Coffee? 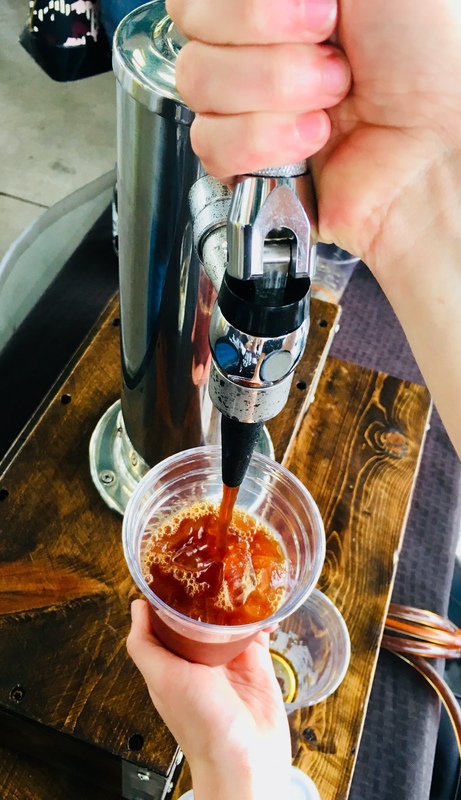 Rob Gideon – Nitro coffee is iced coffee pulled through a stout tap with the nitrogen psi set to 40 (2,75 bar). We use nitrogen for all of our coffee, as do most people, so there is some confusion. 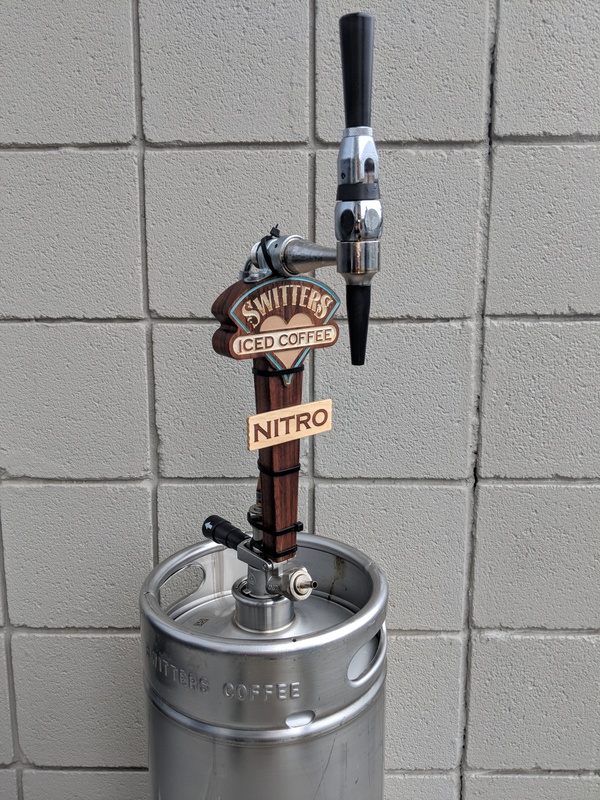 Many people call all iced coffee in kegs nitro coffee. 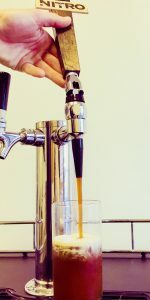 To get the full creamy effect, it needs to be poured through a stout tap with the high psi/bar. BLEFA – What is so special about it? Rob Gideon – We think that nitro coffee makes black coffee a lot more approachable for you average coffee drinker. It gives it a creamy, fluffy texture and really enhances the flavors. We have heard it described many times as a coffee Guinness. It is very similar to Guinness with the stout tap and creaminess. We use 100% nitrogen instead of a CO2 mix, because carbonating the coffee gives it a bitter taste. BLEFA – Is it produced differently? 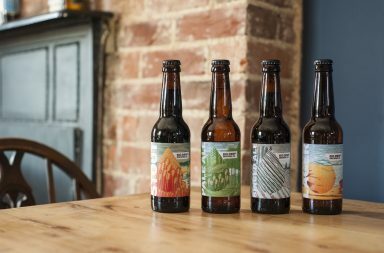 Rob Gideon – We use our regular flash-chilled brew method for nitro coffee, the exact same way as our regular iced coffee. We just turn up the nitrogen pressure, shake it up, and serve it through a stout tap. BLEFA – Do you need to use special types of Coffee? Rob Gideon – We use both dark roast blends and light roast single origins. They have both been a hit and are both delicious. 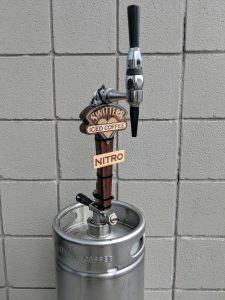 BLEFA – What is the lifespan of Nitro Coffee in kegs? 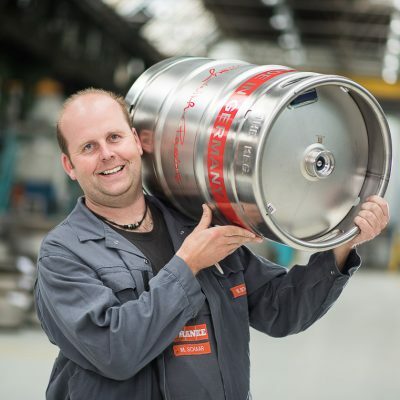 Rob Gideon – Shelf life for our kegs is roughly 10 weeks for best quality. We use standard beer equipment and distribute in 1/6 barrel kegs. 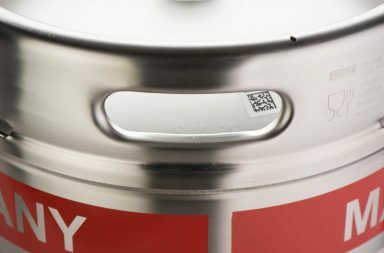 BLEFA – By using stainless kegs and a closed system, could you offer beverages that have milk like lattes? 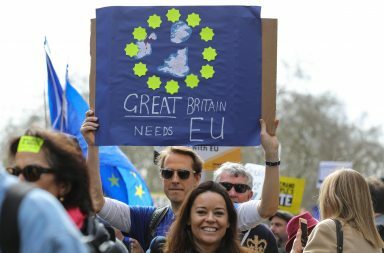 Rob Gideon – We have experimented with this and done a lot of research. We do not recommend using any form of dairy in a closed system. It can clog up the lines of the keg/system and also needs to be cleaned thoroughly and often. Dairy is volatile and we prefer to add it after the coffee has been poured. The rich creaminess of the nitro coffee does go well with regular milk and other non-dairy milks. BLEFA – Thank you very much for for this interview and your precious time.